These are the items we are collecting for Thanksgiving Baskets. We are in need in every area except canned vegetables. Please join us in sharing Christ’s love through a bountiful Thanksgiving Basket. 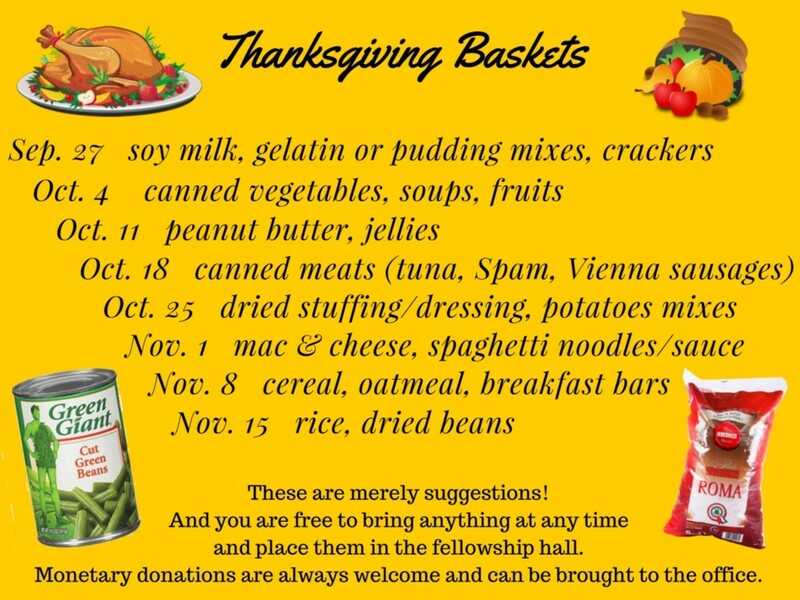 You can bring the food to the church, give money to the church office, or give online to the Thanksgiving Baskets! Let us return thanks to God by sharing with His people.